1937 International Photo Picture Classic Cars for sale & Classifieds - Buy Sell Classic Car & Classic Truck Classifieds. Say, now I have a little in common with this one ! ! ! (I'm a 1935) ! That old gal would be absolutely gorgeous all chromed out! nice...just checked out the pics...i like how you left the body virtually untouched...leaves its history and stories to be told. I'll pay $400 for this buety. Just checked out the pics...awesome! just tagged this 'ol truck titled 1937 c1. I really like the shot of the hupcaps. she is all original and runs great it will be a ratrod soon.Will post more pics soon! 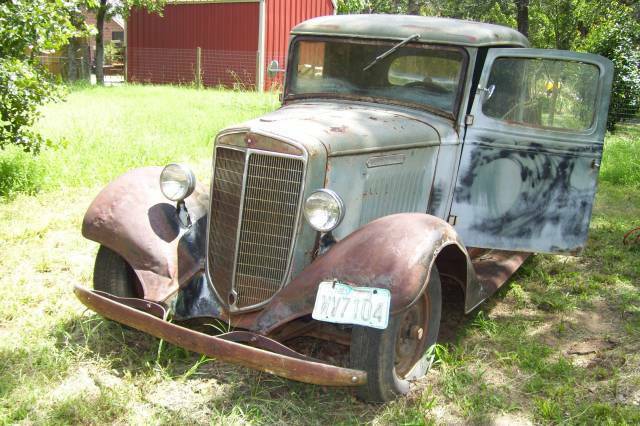 not lookin too bad for a 1937...well worth restoring....wonder if its for sale? That is one clean looking old truck. Any more pictures of it? Hard to find pieces - but it would be best left alone. Love to rescue it.